Crown Pointe Academy Fundraiser Tuesday, September 25th 5:00-8:00 pm Chick-fil-A® 104th & Federal. 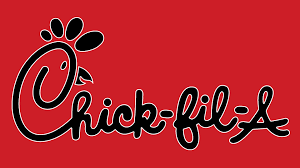 Chick-fil-A® will donate up to 20% of sales before tax from our school family purchases back to Crown Pointe Academy between 5:00-8:00 pm on Tuesday, September 25th. Please be sure to inform the cashier at the counter or drive-thru you are with Crown Pointe so our school receives credit. Students should sign in at the school welcome table. The class with the highest participation wins a Chickfil-A® Nugget/Lemonade or Icedream® Sundae Party! Funds raised from this event will go towards the CPA Drama Club and this year’s production of The Jungle Book!